It's Wednesday, so it's time for the Hodgepodge...because I can't think of anything to blog about on my own! 1. William Shakespeare's birthday is celebrated on April 23rd...when did you last read Shakespeare? 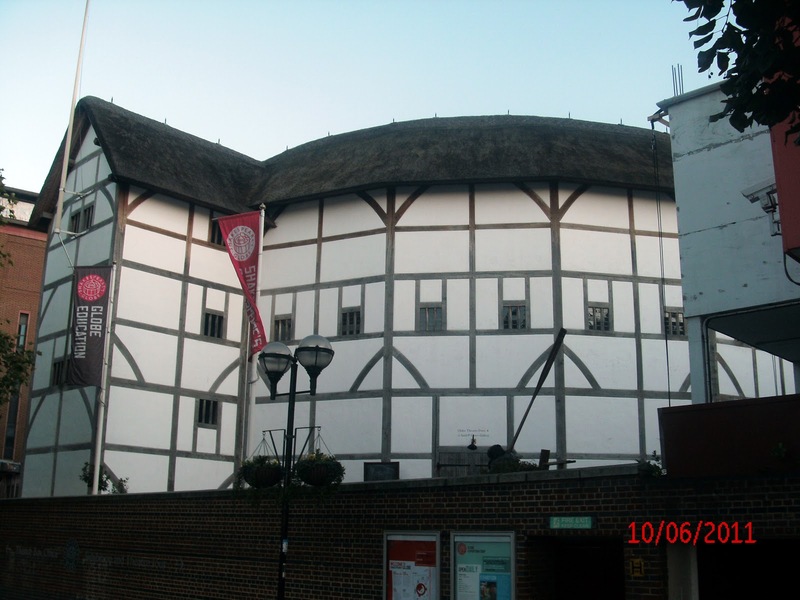 What's your favorite Shakespeare play? Sadly, there were no plays going on when we were there. Oh my. Barbecue, maybe? Moon pies for sure! Oh, gosh. I have no idea! I'm pretty much an open book...y'all already know all of my secrets! Geez, Joyce...could you have made the questions any harder this week? Maybe I should've thought of something to blog about on my own! I'll have to say Tigger from Winnie the Pooh, because I just can't think of anything else right now! Hold an all-day movie marathon. Yep, I'm real exciting like that! Oh, BBQ is one food I definitely have a weakness for! Love it with corn on the cob and baked beans. Best of luck with the testing this week. I remember how nice it was to get breaks from performing speech therapy all the time. Enjoy it while you can! Ha-I love the cartoon : ) Love your photo from The Globe! I am with you on #4 - couldn't think of a thing! I never thought about any of the Winnie the Pooh animals ... I've read several Pooh story books to the grands. 3 more Mondays? Yay! I agree, this weeks questions were hard! You had great answers though. 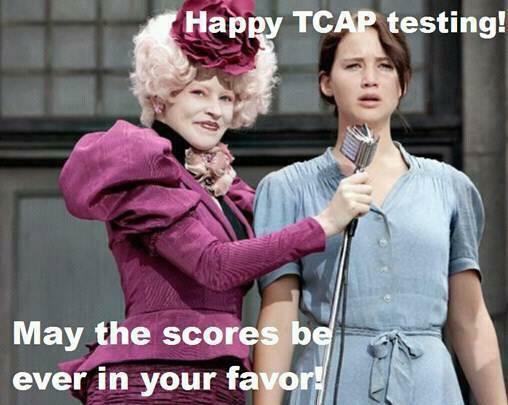 Good luck with the tcaps. HAHA! the Hunger games shout out is funny! Moon pies are a great choice. I think that they are really American. I'm sure we all lie to ourselves about our perfect children. But in my eyes, mine are. Have a wonderful day. I forgot about moon pies. Enjoyed your answers! I thought the questions made us think this week too. And I am glad to see that I am not the only one that has not read Shakespeare, there were quite a few of us. Enjoyed stopping by today. I'm finally back to blogging regularly!! I'll be having barbecue tonight before we go to the OKC Thunder game! - I think I'm also with you on the rainy day. But knowing me, I'd feel guilty about it if I hadn't already taken care of the "have to's." I had a green thumb up north when I lived there. I am slowly learning what I won't kill down here. I love your #3 and I agree - my boys are perfect too. And I'm a tad jealous. Three more weeks? Really??? I thought they were a little hard too. I had to ask family members what they would say on a few of them! I will always choose a movie marathon. Summers coming!